Dolphins and whales always fascinate children and adults for that profound sense of freedom that transmit and that bond with man made up of air and breath. Every 2 or 3 minutes, in fact, these cute friends come to the surface to breathe and it is at that time that it is possible for man, to see and photograph them. But where should you go to see dolphins and whales and, if lucky, swim with them? Check these ten locations where you can see dolphins and maybe swim with them. 2.4 Whale watching in Cape Code, U.S.A.
2.5 Whale watching in Alaska, U.S.A. In the Canary Islands, you can experience whale watching all year round: the south-west coast of Tenerife is a privileged place for observation, thanks to the colonies of pilot whales and dolphins that live in this protected area throughout the year, transforming it into the most interesting point of Europe for whale watching. 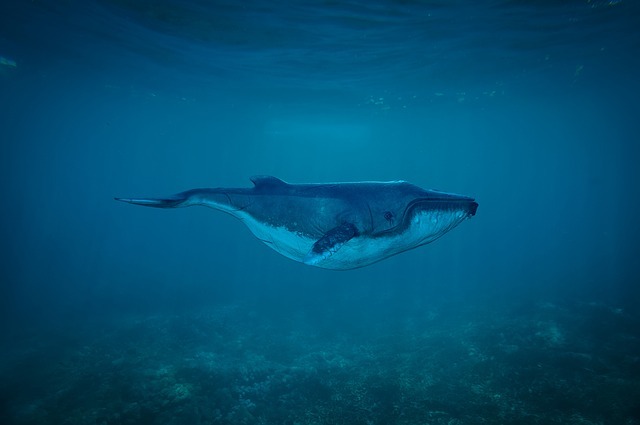 Last year, not far from Punta Grecale in Lampedusa, were spotted about thirty species of whales Balaenoptera physalus, among the largest in the world (his specimens can reach 26 mt in length): according to biologists, the Strait of Sicily seems to be a whales-loved-place where to grow-up their puppies. In any case, on the island you see other marine animals such as dolphins and especially sea turtles: WWF runs the Sea Turtles Recovery Center (in Contrada Grecale) and takes care of the Loggerhead sea turtles. If you are lucky you can also attend the release, which takes place every summer in Cala Madonna. They almost touch you, swimming undisturbed, and provide you with a unique experience: in Madeira, you can experience the thrill of swimming with whales and dolphins, and feel a great sense of freedom and empathy with nature and sea. 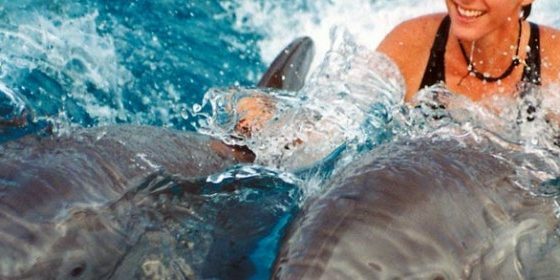 The tour “Rota dos Cetáceos” depart daily from the port of Funchal and will bring you on comfortable inflatable boats to the nearby waters, ensuring the close encounter with dolphins, turtles and whales. And just for a little more, you can have a bath with dolphins. Are called Lofoten Islands, the islands near the Arctic Circle where it is not difficult to spot the killer whales. The waters of Norway, rich in fish and quite deep, are the ideal place for these great Lord of the sea. To see them you just have to sail to an hour by boat from the coast, preferably between October and mid-January, the period in which the killer whales follow the currents of the Atlantic. Just bring with you a very good coat. 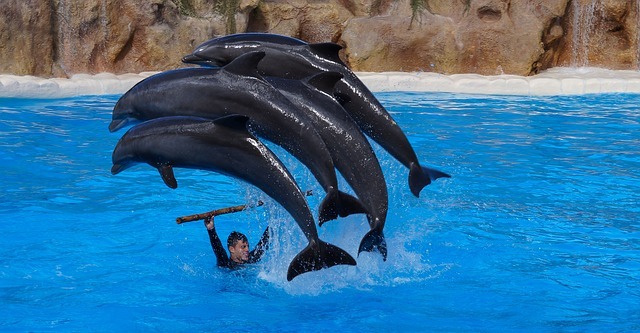 They are a big family of over 130 dolphins living in the Pelagos Sanctuary, the marine protected area in the waters of Versilia, in the north of Tuscany. To visit them you can sail with a catamaran cruise from Viareggio, together with the scientists of the Center for Research on Cetaceans that studies the group. A unique experience that will also allow you to know more about dolphins thanks to the scientist explains. In the South of Spain, Gibraltar Strait is one of the greatest places to spot whales and dolphins. From the town of Tarifa, you can have a short boat trip to go in the middle of the strait were to wait for a whale or a dolphin to show off. In the island of Zante located in the Ionian Sea is one of the sea preserved areas where dolphins can be spotted in the Mediterranean Sea. 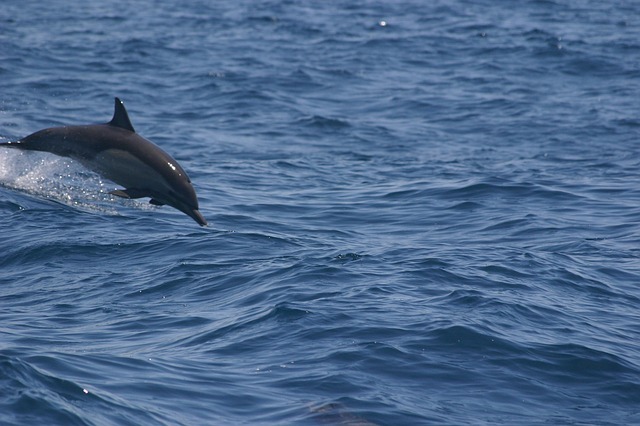 Most part of dolphin sightings takes place at The Alykes beach, on the north coast of Zante. It’s a journey to the end of the world: those who go to Patagonia in Argentina, from March to October can spot the cute penguins at Punta Tombo, until mid-December the whales of Valdes Peninsula, and from January to March, you can go starting to Antarctica searching for more and more wild landscapes where the giants of the sea live. This is one of the best spots where to whale watching and where you’ll have the opportunity to watch the biggest animals. They are curious creatures, they eat plankton and the idea of some sub that swims around, do not mind at all. According to CNN one of the best places to spot whale sharks in Isla Mujeres, in Mexico, in front of Cancun. Up to 420 whale sharks per day are recorded in these waters although the best time to whale watching is from mid-May to September. Here is easy to see also dolphins and swim with them in these Caribbean beaches. Baja California in the North of Mexico, Pacific Coast, is one of the world’s best places for whale watching and swim with dolphins. Here is one of the most uncontaminated places on earth choose by lots of marine mammals to set their homes and just to pass through, such as blue whales. Whale watching in Cape Code, U.S.A. 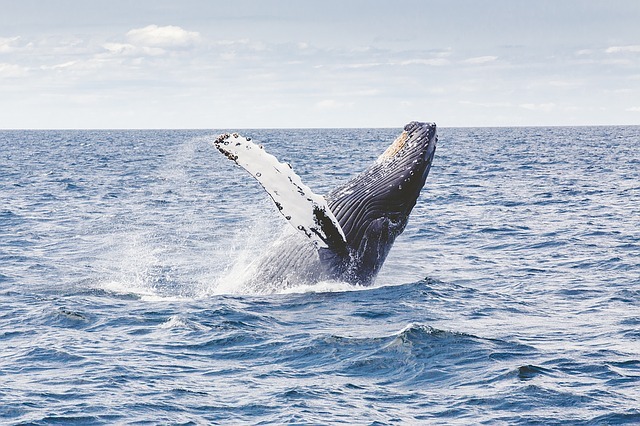 Very near to U.S.A.’s biggest cities and close to Boston is another great spot for whale watching on the Atlantic sea: Cape Code. Here you can experience a tour of the Stellwagen Bank National Marine Sanctuary, where it’s very common to spot sperm whales and other kinds of species. 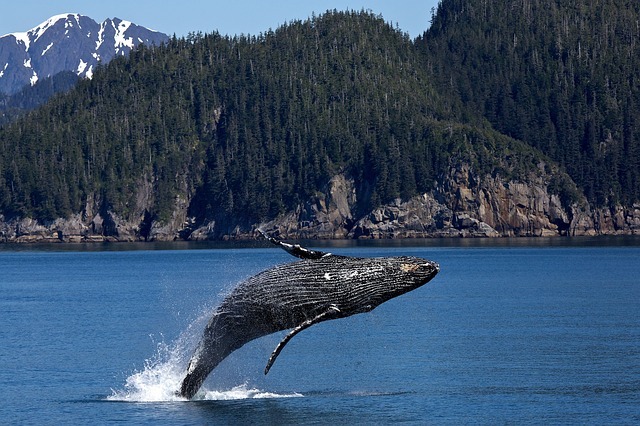 Whale watching in Alaska, U.S.A.
Whale watching is one of the most popular tourist activities in Alaska. 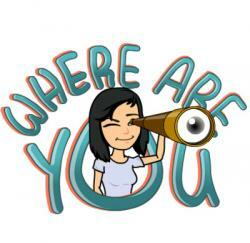 Many places are suitable to spot a hale in Alaska where you can watch a wide range of whale’s species. Humpbacks, killer whales and beluga whales are the most common. And if you are lucky maybe you can watch the whales from the shore. Vancouver Island is another great place for whale watching in America. Most common here are Killer of Orca Whales and sperm whales, but you can also spot other kinds of wildlife such as Grizzly bears, seals, sea lions and Bald Eagles. Definitely a great place for all nature lovers. In Thailand, you can find a huge variety of marine life. The reefs of the Similan Islands are well known worldwide for being a whale shark spot point. Here where the whale shark is seen fairly regularly, but keep your eyes opens, since bull shark is much more common in these waters! Is it enough 25 species of whales? In the Southern Atolls, these animals use to form groups of up to 500 whales. Not only that. In the underwater world of the Maldives, there are dolphins, killer whales and even big manta rays. If you are very interested in whale watching you should take a cruise of 8 days, focused especially on spotting whales. The best season for whale’s sightings is from February to May. The Arab sailors called it the green island, it is actually a rainbow of colours and brilliant waters to which even the whales are unable to resist: between August and September is not difficult to see them. For the whale sharks instead, you should expect between December and April. Marsa Alam is one of the best spots in Egypt and all around the world where you can have the opportunity to swim with dolphins. You should take a short trip to the limit of the reef where these animals use to swim. But maybe you are lucky and some dolphins come to visit you near the shore. New Zeland is one of the last natural paradises on earth where is very common to watch most of the biggest marine mammals: whales, seals, dolphins… The most famous tours sails from Kaikoura, in the north of Christchurch. Its beaches have that exotic charm, but if you enter the water then it seems to swim with mask and snorkel in a natural aquarium. In Polynesia, you can have made fun encounters with colourful fish among the lagoons of the atolls of Rangiroa and Tikehau. Here it is not difficult to spot the dolphins jumping on the horizon or, if you are lucky, meet the most playful when they approach the coast and the humans.